Today, the official Brawlout twitter account announced that the hit Smash Bros-inspired fighting game, Brawlout, will be receiving a physical release on Nintendo Switch in May by Merge Games. Brawlout will receive a #NintendoSwitch physical edition early May! 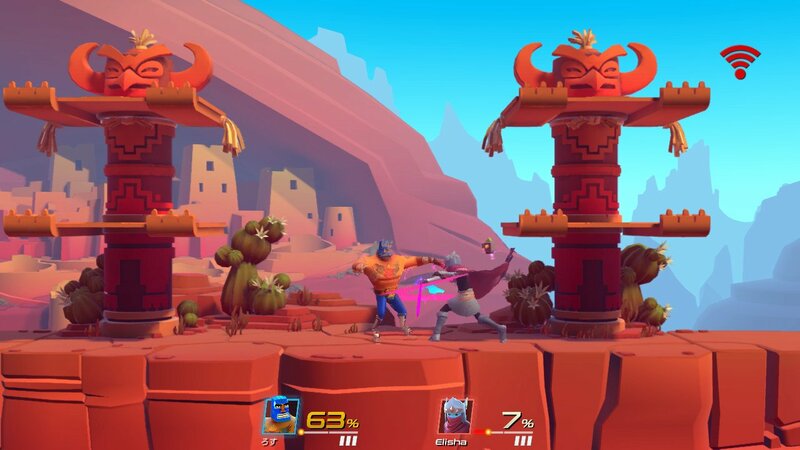 In Brawlout, players rack up damage on other players to force them off the edge, much like the Super Smash Bros. series. However, this game relies more on combos and its rage bar as it does away with grabbing and blocking to focus more on the combos system. We recently released our review of the Nintendo Switch version. It’s an exciting fighting game, especially for the Nintendo Switch’s portability. Brawlout will be released physically for the Nintendo Switch in May for $39.99 in limited stock. For more information, visit the Signature Edition website.